For Geeta Rao Gupta and the International Center for Research on Women, economic and social assessments go beyond mere procedure. They are tools for combating a double-edged sword: poverty. 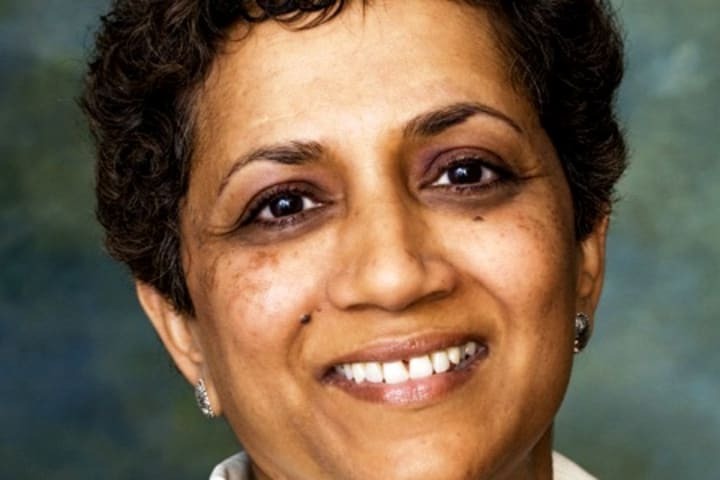 Growing up in India, a country with some of the “most extensive gender gaps,” the outgoing ICRW president, who plans to leave her current post at the end of April, witnessed firsthand how poverty cripples finances and worsens the plights of women. “The low-income marginalized communities, particularly low cast communities – the women in those communities – are even further marginalized and experience greater constraints in accessing productive resources such as land, credit, education, employment,” Rao Gupta explained. Determined to rectify a situation that she considered “an abnormality,” the Indian national embarked on an undergraduate and graduate academic career in clinical psychology at the University of Delhi. Soon after, she switched gears. “I was a counselor for the early part of my career, and realized that this is too long a process and that I needed to make structural changes at the policy realm in order to bring about significant shifts in women’s lives,” the gender and health expert said. Taking on a doctorate program in social psychology at Bangalore University, Rao Gupta not only gained insight into women’s issues, but also landed a spot with a team at the Tata Institute of Social Sciences in India, where she helped develop a women’s studies curriculum for graduate students. “It was the first time such a curriculum had been developed in India, and [it] cemented for me my passion for working on what was then called women and development issues, which now we often refer to as gender and development issues,” she remarked. Rao Gupta joined ICRW as a research assistant in 1988 when the organization was “the only center” in the United States undertaking research on women. She directed ICRW’s women and HIV/AIDS program, became vice-president, and in 1997, took the helm as president. “I took opportunities as they arose. Obviously worked very hard, proved my capabilities – all the things that you do to get ahead in a job – but [I] was lucky and blessed that the right opportunities came at the right time and I was right there,” she said. Devex sat down with Rao Gupta to discuss her work with ICRW, the prevailing issues in gender development and how businesses and development agencies can benefit from ICRW’s services. What is your average day as ICRW president? There is no average day but a large part of my time is spent in external relationship-building, external representation, meeting with donors, fundraising for the organization, thinking strategically about how we want to get more impact, how we move our agenda forward. And obviously there’s internal management. But the bulk of my time is really external representation and external relationships with partners, with donors, and the rest of it is internal management. What would you say is your favorite part of your work? I love all of it. You know, it’s not any piece of what I do. It’s that I passionately believe in ICRW’s mission, which is to empower women, promote gender equality and fight poverty. I passionately believe in that. So, everything that I do – because it advances that – I enjoy doing it. I enjoy fundraising a lot because it means that I have to make the case and convince somebody else that this is a good cause. And I love to do that. What would you say are the most pressing women’s issues or challenges today? The ones that I think are the most pressing is, one, that women still, around the world, do not have control over property or have property rights. So even though they can own, even though the law in many countries says they can own land – and in some countries the law says they can inherit land – in reality, asset ownership by women is very limited. Ownership and control, particularly of land and housing. And I think that without that, economically, it’s very difficult for women to climb out of poverty. So property rights is one primary issue in my head that we need to move forward. The second is maternal mortality. That people – that women, you know, half a million women – still die each year due to causes related to pregnancy and child birth is unbelievable, given that we have all of the medical technology and know-how to prevent those deaths. They are preventable deaths. So that’s the second big issue that I think we don’t focus on … And a big chunk of that is because of lack of access to family planning, unsafe abortion, obstetric hemorrhage – things we know how to deal with but we get hung up on the politics of these issues and don’t focus on the fact that women’s lives need to be saved, that they die in childbirth is unacceptable. A third issue that is, I think for me, poised to make progress is secondary education for girls. We’ve made so much progress with primary education it just proves to me we can make the same progress with secondary education, but we haven’t gotten there yet in much of the developing world. And then the final one that really bothers me and I feel passionate about is violence against women. How do we stop that? Women are victims of violence in their homes, on the street, in times of war – but also in times of peace. So, we take different pieces of it, sexual violence in times of war, and then we get some U.N. resolutions to occur, but nothing really stops. And I think that requires social normative change in communities, where men and women have to learn to talk to each other and figure out what gender roles and responsibilities are good for societies to thrive. And so, it’s tedious work, but it’s work that needs to be done. But it also requires leadership, political leaders and community leaders, to speak up and say that this can no longer be tolerated. As it stands, it’s … a gross injustice to women and undermining of their human rights. But it’s also incredibly economically inefficient for political leaders of countries to stand by and watch so much of their investment be wasted because of violence against women. And I think all of these issues, in part, are because women are not in positions of leadership and power and that we need to see that beginning to happen more. So political representation of women in leadership positions continues to be low and I think that’s part of the problem, though not entirely the solution. Which initiatives are necessary for dealing with those issues, and empowering women? Well, I mean, I think all of these issues need to be addressed simultaneously. I don’t think you can pick one over the other. I think that President Obama’s food security initiative – that’s a global initiative to ensure that agricultural productivity increases – a big piece of that has to be property rights for women and making sure that women farmers get the agricultural inputs that they need in order to increase their productivity. I think that, but you know that can’t just happen at a global level. All of these things have to be addressed nationally as well as internationally. And the international community has to essentially provide the resources for it, the evidence base for how these things can be resolved. But national governments ultimately have to take responsibility – and citizens – for investing and making these problems go away. So these are not initiatives that can happen just at the local level in a small scale. We’re really looking for these to be scaled up and thought of as integral to economic development overall and building stability within societies and global security. Given your experience in the sector, what are the main trends or changes you’ve noticed in the area of gender development and research? Oh, there’s been a lot of progress. I mean, as I said, [in] primary education we’ve seen a lot of progress. Life expectancy for women has increased substantially, the number of women worldwide earning an income has grown enormously, but they continue to be, sort of, relegated to informal employment. So all of that, fertility rates have dropped dramatically, so there’s been a lot of change. It just proves that change can be brought about in women’s status, in women’s lives. But the agenda of what needs to be done is still pretty long. Can you give some insight into the importance of a gender component to development policies concerning issues like HIV/AIDS? I don’t think the HIV/AIDS epidemic can be resolved without paying attention to gender inequality, because a lot of the strategies for prevention that are currently being promoted – abstinence, condom use and mutual monogamy – are affected and undermined because of inequality, especially for women; but also for men. So, the way in which male and female roles are defined in society, and women’s economic dependence on men, makes it difficult for women to negotiate protection because they have no leverage, makes it difficult for them to leave a risky relationship even when they know it to be risky, and makes it difficult for men to ask for help when they need [it], because their role in society is defined as being the provider, the teacher, the one who knows it all, the aggressor. It’s complicated when they want to behave differently. The sanction against them are pretty severe; society’s sanctions. So we need gender norms to change in order to contain the epidemic. And there’s now an acceptance of that, and people talk about it, that investments in empowering women are in fact investments in HIV prevention. It’s now accepted, but it’s not yet happening on the ground because women’s empowerment program is thought to be part of broader global development, not AIDS prevention. And, we’re trying to make the case now that that’s the wrong way to look at it; that all of these are integrated. These should be thought of as integrated programming to bring about multiple outcomes. And empowering women and investing in women will give you positive outcomes on many different fronts. Do you have any words of advice for individuals interested in working in gender development? My advice to young people looking to enter this field of work is be clear that you’re passionate about it. Because it’s not easy work. It’s a hard road to climb because development is complex and solutions are not immediately visible. So you have to be really passionate about the issue and want to bring about changes. So that’s one. Second is, nothing can replace hard work. Young people often work hard, but also get very rigid about career pathways – you know, that “I must do this, and then do that, then do the third thing,” whereas opportunities might not follow the same pathway. So,pay attention to the opportunities you get and pursue them, because you may discover that the pathways do fulfill the one you designed for yourself. That’s what I learned. You know, I never was supposed to be here. When I started out, I thought I would end up teaching women and development in a university, but here I am running a nonprofit. So, to be flexible, to pursue opportunities when they appear, and to make sure that what you spend your time doing at work is something that you truly feel passionate about and is one of your personal goals, not just your professional goal. Read more from our interview with Geeta Rao Gupta.